Hello everyone! It’s spring, and I’m so ecstatic:) Finally the warm weather is here, phew, the winter was too long! 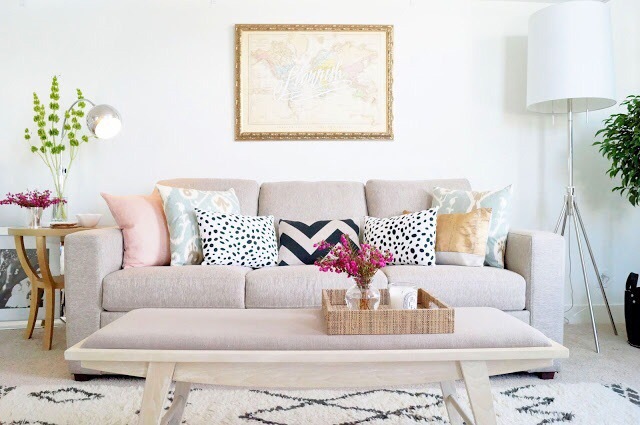 Recently I’ve been very interested in decorating with colour and patterns and I thought I would share some tips with you, if you’re thinking about changing up your space in this way. 2. 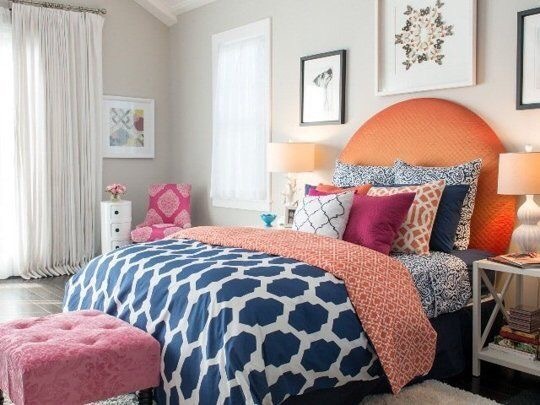 You will introduce patterns and colour in the textile accessories of the room. This is rug(s), drapery and pillow cushions. These are your building staples! 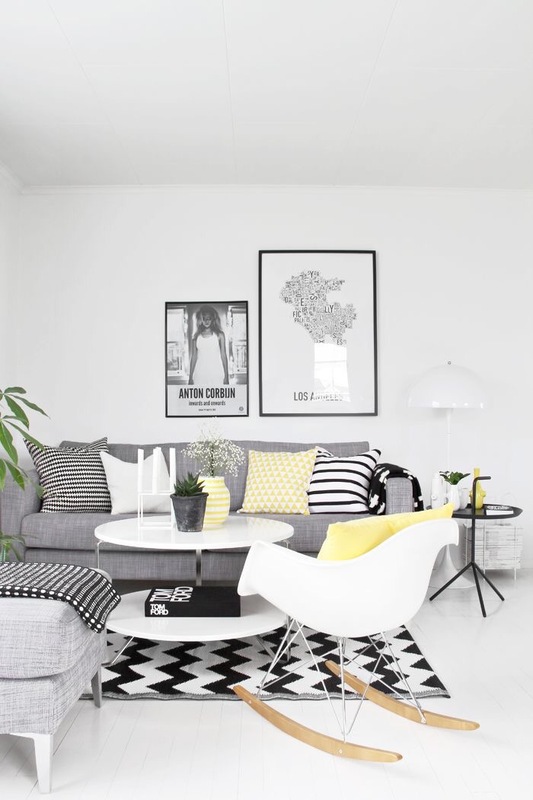 Generally, wall colour is a neutral shade and the furniture such as sofas, tables bookcases etc are solid hues. Sometimes we have patterns on a sofa of accent chair, and that is ok, and in which case I would suggest keeping cushion pattern minimally here so we don’t overload the look. 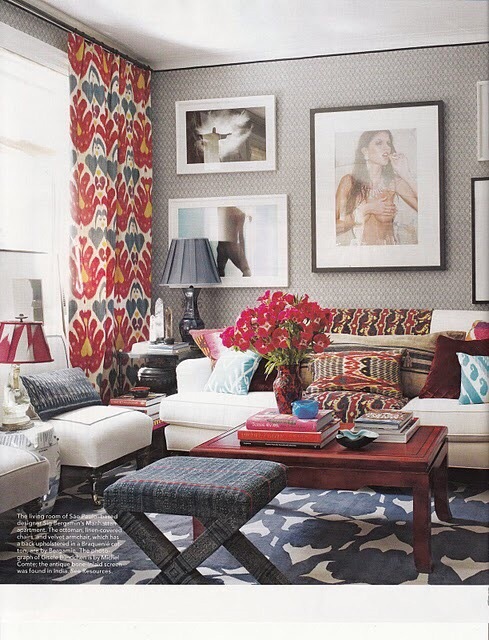 I advise when decorating with pattern, you need to mix the scale and size of the patterns. 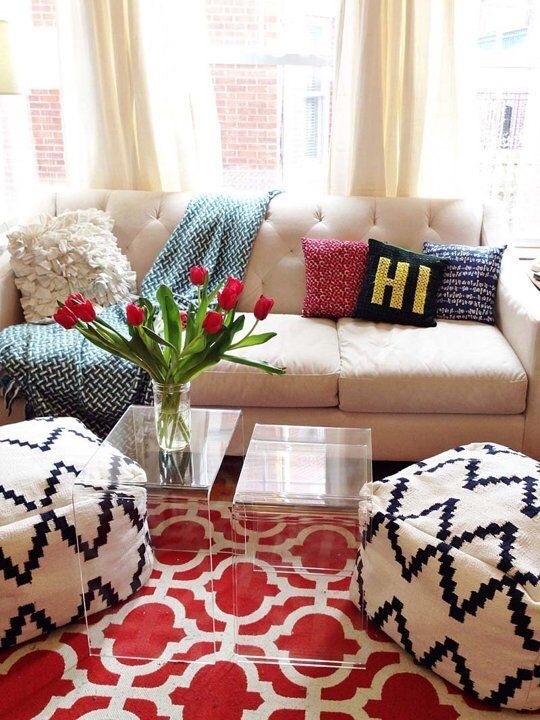 Small, medium and large pattern variety will create a harmonious language in your decor. 3. I always start with the biggest textile accessory to any room like the rug! 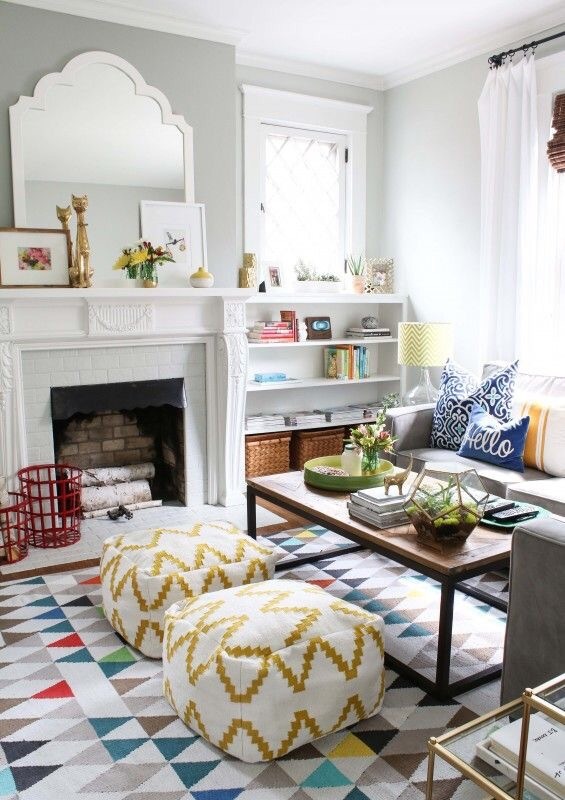 Rugs come in various patterns and colours and it can be the statement piece to begin the decor. Then you want to choose drapery. 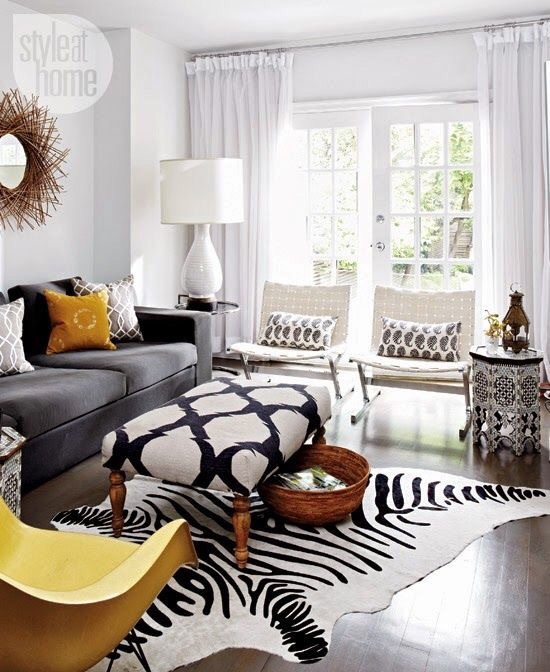 Choose drapery that has a different colour and pattern from the rug. You can choose plain drapery or window coverings if you want a more subdued look. Thereafter, I begin working with sofa cushions. 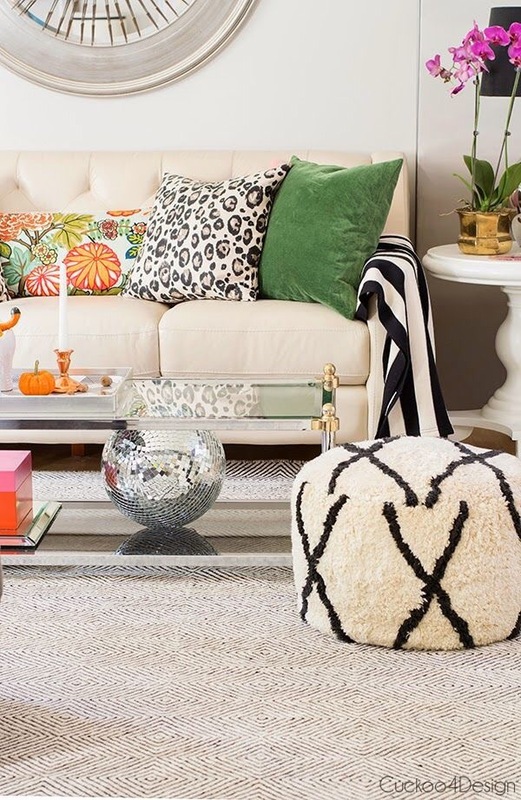 For cushions, you must include all shapes and sizes and try not to repeat the pattern over and over. Use stripes, zigzags, squares, florals etc. Variety is key!!!!!!! 4. Variety is important especially when working with cushions. You will want to layer here. 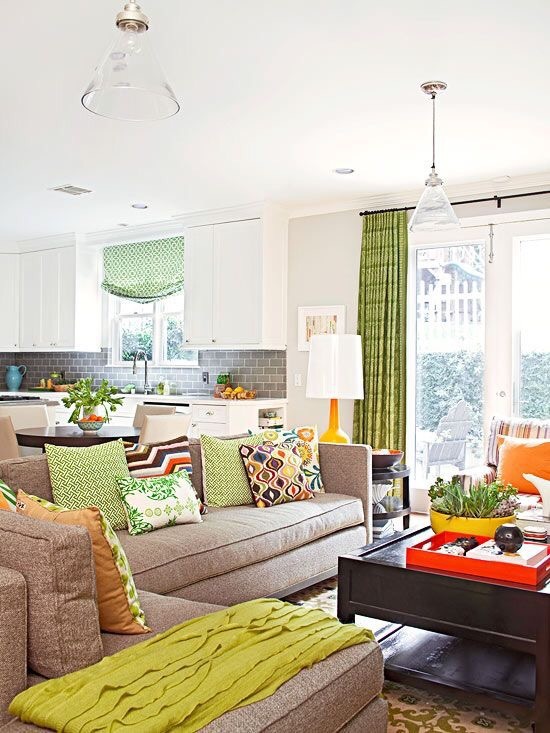 Mix stripes, florals, hexagons dots and worded or imaged cushions and keep them to odd numbers 3, 5, 7 etc., this is key as in decor terms, arrangements in odd numbers give the best visual balance.